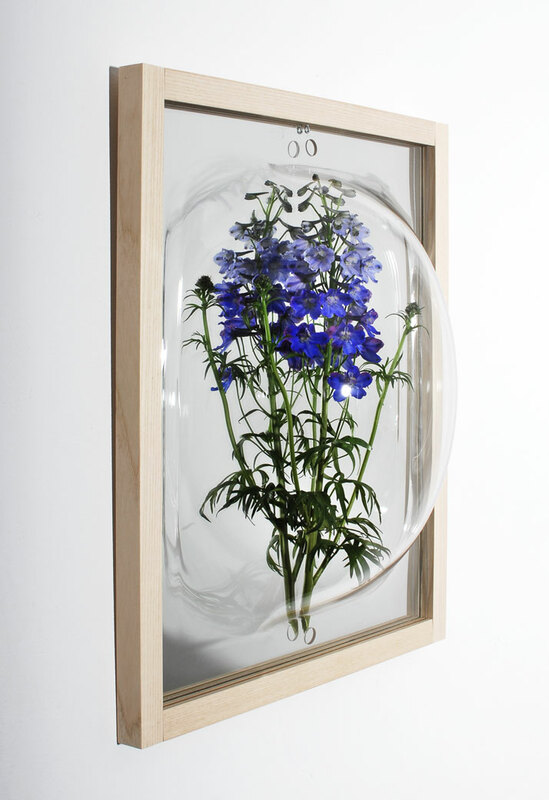 Dutch designers Iris van Daalen and Ruben Thier have a long-time fascination with glass. 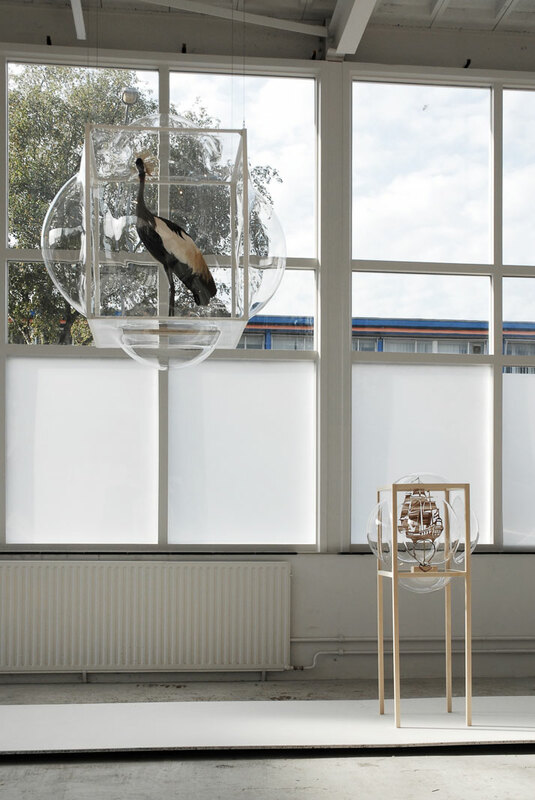 Both graduates of the Design Academy Eindhoven, they founded their Studio Thier&VanDaalen in 2011, and since then, have been producing unique, surreal objects for the home. 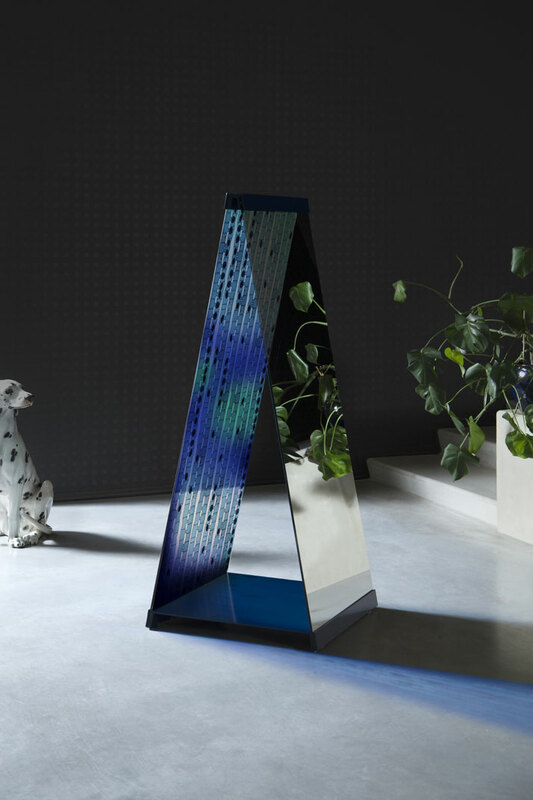 The duo presented their work at this year’s Ventura Lambrate in Milan, including their mesmerising Translucent Mirrors – but what they are best known for is their impressive Curator Cabinets: thin, transparent bubbles of acrylic glass encased in a wooden frame. 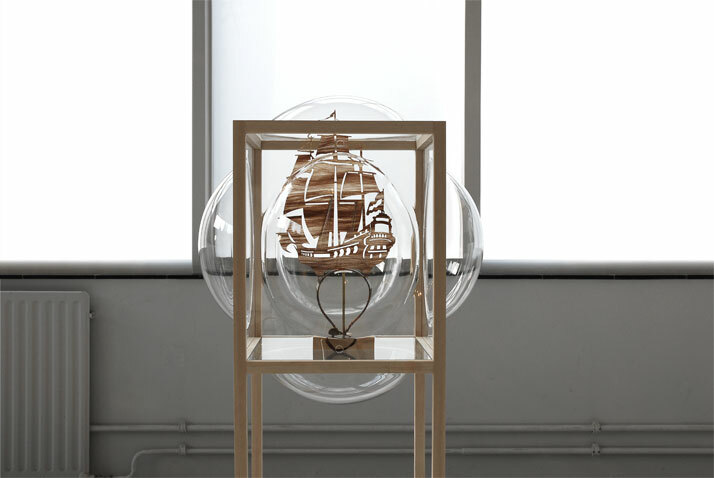 Using the image of a fragile soap bubble as a starting point, the designers are reinventing the traditional vitrine, creating dreamy showcase cabinets for curiosities and other precious items. 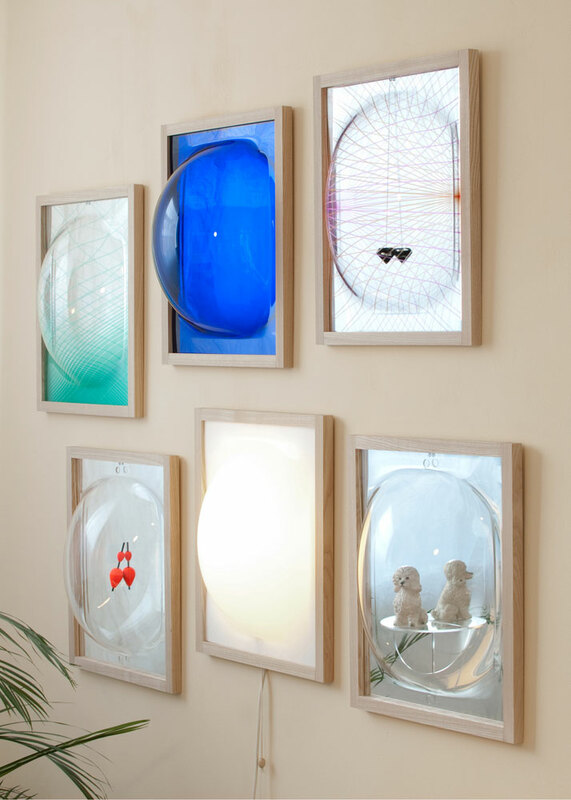 After experimenting with the design for some years (they have created a flat mirror version and a large hanging version of the concept), the studio has now unveiled its Round Square series, where the same principle is applied, only this time with real glass. 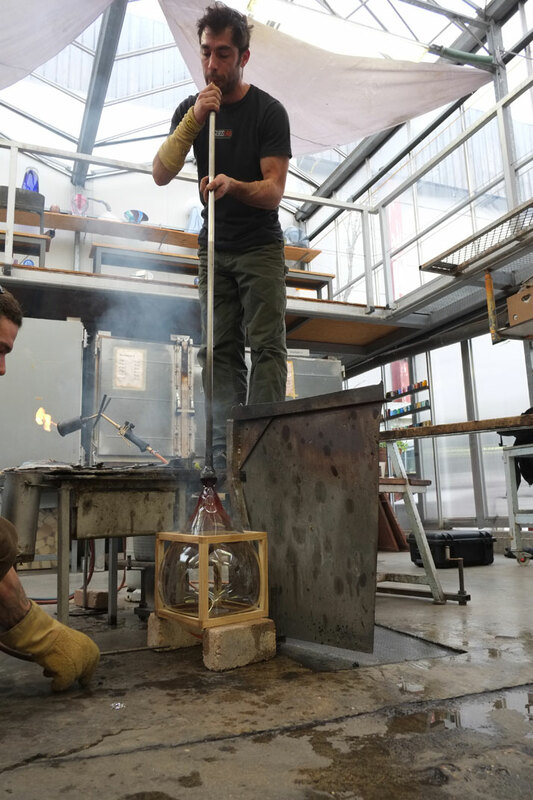 The blown-glass objects were created in collaboration with Dutch glass artist Marc Barreda. 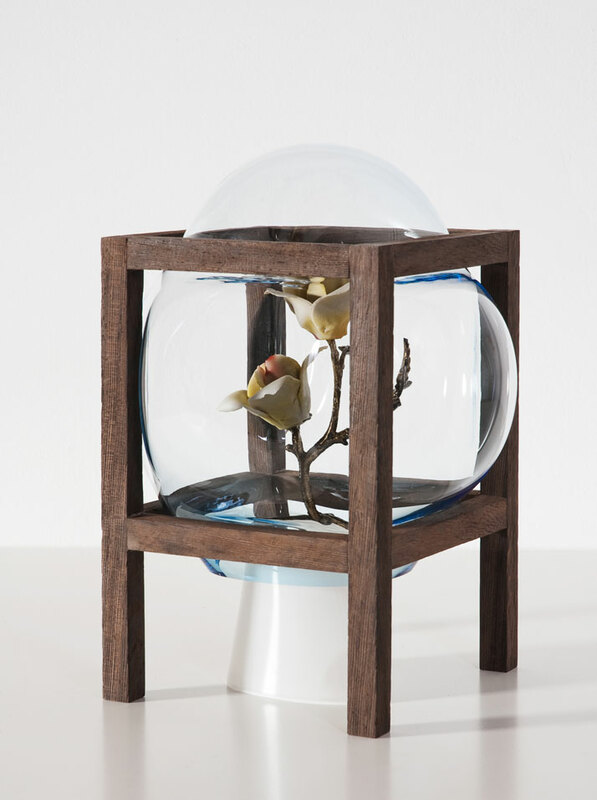 Curator Cabinet, photo © StudioThier&VanDaalen. 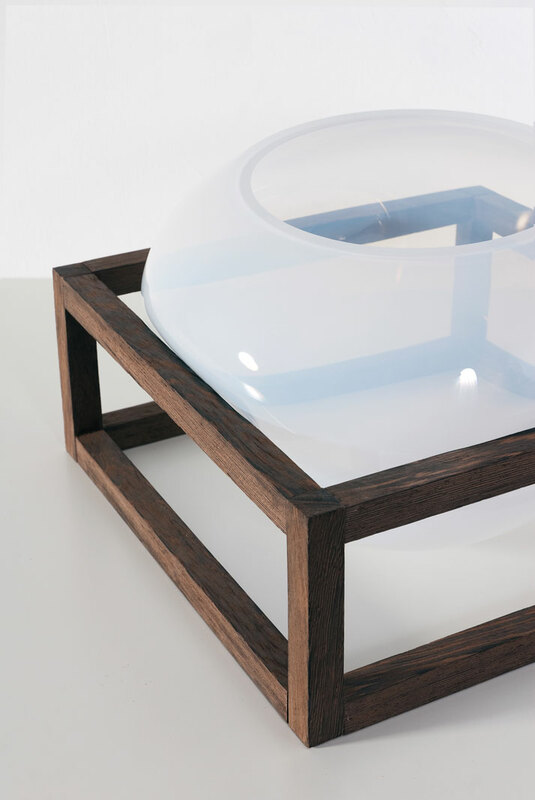 Round Square - vessel, photo © StudioThier&VanDaalen. Round Square - Little cabinet, photo © StudioThier&VanDaalen. 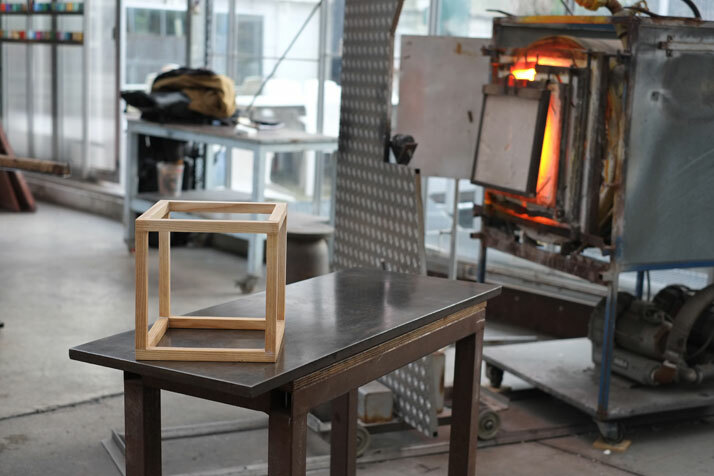 The making of ''Curator Cabinets'', photo © Lisa Klappe / StudioThier&VanDaalen. 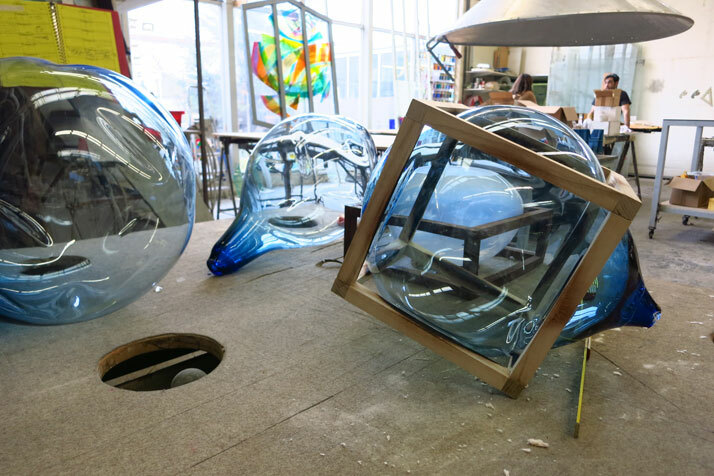 Translucent Mirror, photo © Lisa Klappe / StudioThier&VanDaalen. 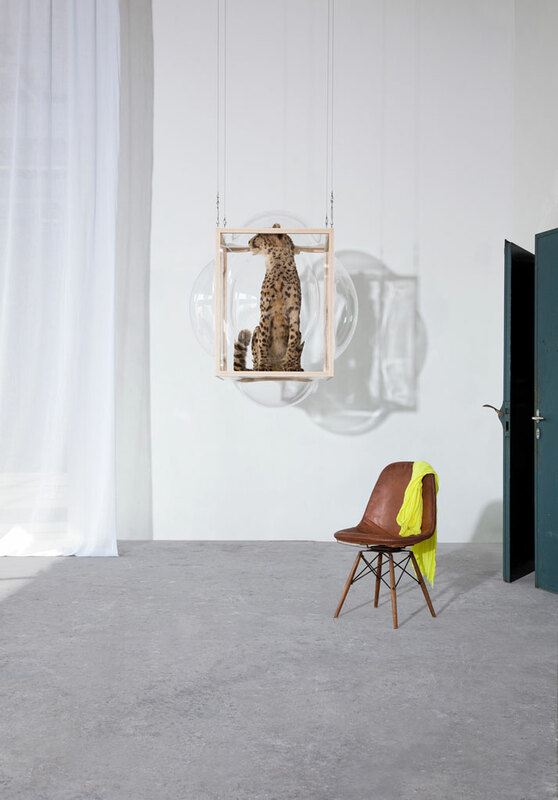 Curator Cabinets, photo © StudioThier&VanDaalen.